CLARKSDALE – The Sunflower River Blues Association has voted to dedicate its 24th annual festival to five key contributors: musicians Michael James, Wesley Jefferson, and Foster “Tater” Wiley, club owner Sarah Moore, and vendor chairman James Alford. “We will be celebrating the lives of our own Sunflower family; for more than two decades, all were part of our history until their deaths last year,” commented longtime co-chairman Melville Tillis in an announcement this week. Ranked as one of America’s Top 10 Places to hear authentic music by USA Weekend, the free festival takes place August 12-13-14, 2011. Participating in formats similar to past festival programs honoring Charlie Musselwhite, Muddy Waters with Big Bill Morganfield, Latimore, Sam Cooke, and Ike Turner will be family members and friends. A star performer with the Wesley Jefferson Southern Soul Band, talented guitarist Michael James also shared his expertise by teaching students in the Delta Blues Museum’s educational program. 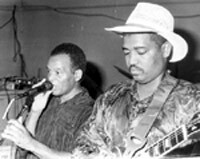 An organizational leader and talented musician, Wesley “Junebug” Jefferson represented the bedrock of local bands dominating the musical scene for 30 years. 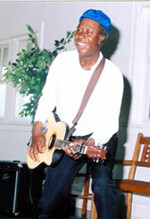 Foster “Tater” Wiley not only performed as a solo acoustic guitarist on the Sunflower stages every year, but also made frequent signature appearances with many groups including John Ruskey and Jimbo Mathus. 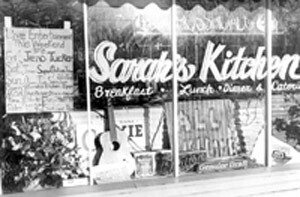 Although Sarah Moore’s club - Sarah’s Kitchen - offered authentic Southern cuisine, it also was a magnet and proving ground for Delta blues musicians as well as international stars - young and old – fledgling and veterans, says Tillis. Norwegian Grammy-winning vocalist and guitarist Rita Engedalen, who has performed twice at the Sunflower Festival, reports she will be recording a CD tribute to Sarah Moore in Clarksdale during February. With past experience as a blues club owner, James Alford could be talked into singing “Bluebird” occasionally. He also was a multi-faceted Sunflower organizer who served as backstage coordinator, main stage announcer, and vendor chairman. 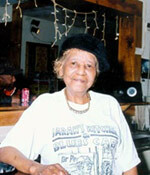 Organized in 1988 and staged entirely by volunteers, the Sunflower Festival has featured local musicians and many celebrities including Koko Taylor, Bobby Rush, Bobby Blue Bland , the North Mississippi Allstars, Charlie Musselwhite, Shirley Brown, Denise LaSalle, Shemekia Copeland, Bettye Lavette, and others.